So why the existential crisis? Well it all started around lunchtime when I checked my twitter feed. Actually I was only really interested in the Labour Party Conference and specifically the ongoing reaction to the leaders speech. I had also heard about Eamonn Holmes descent into madness earlier and wondered whether Fox News had made him a contract offer yet. What I saw was the emergence of a new ‘Corbyn controversy’ and this time the attacks had gone nuclear. There has been so much abuse aimed at the new leader that I am almost exhausted by it. For the most part the media induced hysteria is so absurd I simply brush it aside. Corbyn himself did an excellent job of mocking the “commentariat” in his Brighton speech. Still the cumulative effect can be soul-sapping. Having said all of that, I had happily concluded that Holmes was just one of the many media hornets Jeremy had stirred up, and judged his lame attempts to bully and harangue Corbyn live on-air as childish. However, I found it harder to laugh off the incendiary effect of Corbyn’s comments on Trident and pushing the button. His refusal to countenance ever using weapons of mass destruction filled me with dread. Not because I disagreed with him, but because I could see that this would open up a new line of attack for the right wing media. After a tremendously inspiring speech I wondered whether Jeremy had just handed his enemies a whole new arsenal of insults with which to attack him? I need to be clear here. I am fundamentally opposed to nuclear weapons. 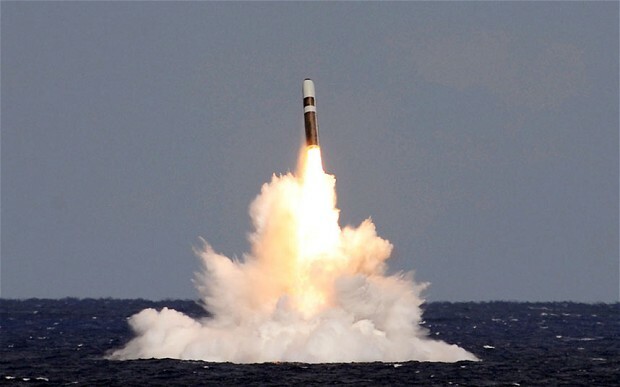 I believe firmly that we shouldn’t renew Trident. Actually I would rather not vote for someone who could ever openly contemplate genocide and the destruction of the planet. Yet here I was, having an almost allergic reaction to a man who was espousing the very values I believe in? What the hell is wrong with me? Actually there’s nothing wrong with me. I am just another victim of the strange ‘bizzaro world’ politics that has held sway for so long. Instead of revelling in the fact that for the first time in my lifetime a leading politician had opened up a national debate on Britain’s nuclear ‘deterrent’; I was gripped with fear about the electoral damage his position might cause. I had briefly fallen into the same trap that has snared the Labour Party for decades, that is thinking you shouldn’t speak your mind in case your opponents or the media attack you. 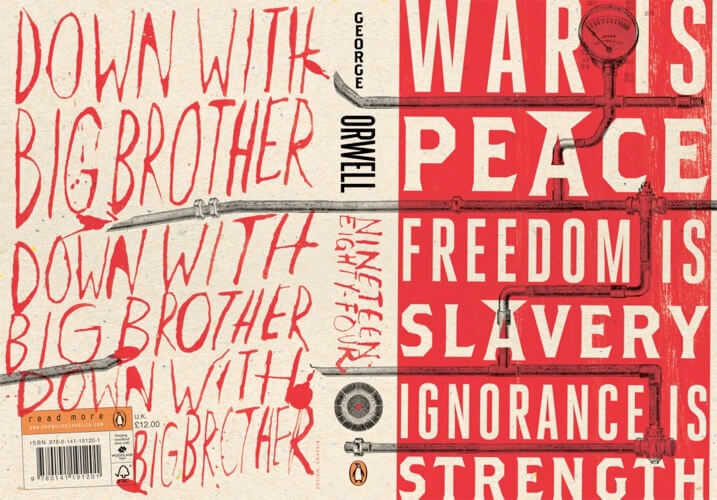 George Orwell, in his classic novel 1984, describes a dystopian world in which people are controlled by ‘Newspeak’. This is a fictional language used by an all seeing dictator, ‘Big Brother’, to mould and control how the population think and prevent them entertaining ideas about freedom and peace. In Orwell’s nightmare people who fail to conform are found guilty of thought crimes. The regime even controls which words the public are exposed to, with undesirable concepts removed from the vocabulary. We may not live in such a terrifying future, but it would appear that the media have declared certain ideas and philosophies are in violation of their own version of ‘Newspeak’. Jeremy Corbyn, it would seem is guilty of thought crimes. His views, though well thought out and consistently held for decades have been declared off-limits – unelectable. As such, according to our establishment ‘Big Brother’, these thoughts cannot be openly discussed. This, in my view, exposes all that is wrong with the climate in which politics operates today. This is a toxic atmosphere and the establishments position is deeply hypocritical. They espouse the ideals of democracy and free speech, while ferociously attacking those who offer a different perspective to their own. What follows is not a rational discussion. Instead ideas are either suppressed or there are attempts to manipulate us into thinking their proponents are crazy. Surely it is perfectly appropriate and actually refreshing to hear politicians, even of the same party, disagreeing. This is what democracy is. It should be cherished not ridiculed. The current furore, and all the others before it, bring into question the whole process by which the parties develop policies and ideas and how the media hold sway over them. Do we really want to carry on with the same sterile, focus group, top down think tank approach to policy? I don’t. I want to see our leaders openly debating their ideas and values and involving us in the discussion. I don’t trust people who tell me what they think I want to hear. Instead I want to know what really motivates them and guides their thinking. If we continue with a status-quo where our representatives have no room to think, save for a very narrow set of pre approved policies and ideas, then how will we ever advance our society? How will we learn from the vast wealth of talent and creativity that exists in the wider population? There should be no bad ideas except those that are not expressed openly and debated. Only through this discourse will we arrive at policies that have the potential to change the world. If we keep doing what we have done for generations we will keep getting the same results. So, after chastising myself for succumbing to the power of ‘Newspeak’, I applaud Corbyn’s bravery in daring to say what, according to ‘Newspeak’, isn’t fashionable. I thank him for being honest and for attempting to start a debate in society that so many have shied away from. An idea, once liberated is a powerful thing and we should resist all attempts to stifle it. Let’s continue to discuss and debate the kind of world we want to live in. We won’t always agree, but in the process of debate we have the chance to unlock new solutions and ways of thinking. This is a new kind of politics. It’s scary for some and even for me it sometimes feels uncomfortable, but it’s no less powerful for it. We should embrace it.